As the country celebrates the achievements of a number of lesbian, gay, bisexual and transgender icons during LGBT History Month, OCCC’s Gay Straight Alliance President Christopher Reece said he is reflective of the past and how much things have changed in recent years for those communities. Reece said he has seen a big difference in tolerance and acceptance in the past few decades. “You would think that a lot of people who are out or are trying to come out would be either bullied or just given crap for what they are,” Reece said. Reece said the only difficulties he had were with his parents. “They didn’t accept it, and it came to where I had to move out of my parents’ and live with a friend. Then I lived independently, [through] a program offered at my high school. Reece said he wouldn’t change those experiences, because they made him who he is today. Reece said he believes LGBT equal rights movements also are supported by the media and the current president. “Media affects us a lot,” he said. “Celebrities coming out, and being supportive of each other. Even the ‘It Gets Better’ project — just everyone wanting people to coincide with each other, in that it does get better. The Stonewall riots, Reece said, was one of the events that triggered the birth of the modern LGBT equal rights movement. According to Encyclopedia Britannica Online, the riots were the result of homosexual relations being illegal in most urban centers, and police policies of targeting establishments that catered to LGBT individuals. “In the early morning hours of Saturday, June 28, 1969, nine policemen entered the Stonewall Inn, arrested the employees for selling liquor without a license, roughed up many of its patrons, cleared the bar, and — in accordance with a New York criminal statute authorizing the arrest of anyone not wearing at least three articles of gender-appropriate clothing — took several transvestites into custody. It was the third such raid on Greenwich Village gay bars in a short period,” the article states. The article also said while docility was the normal response, the individuals inside and outside the inn grew angry, and attacked the arresting officers. “Accustomed to more passive behavior, even from larger gay groups, the policemen called for reinforcements and barricaded themselves inside the bar while some 400 people rioted. The police barricade was repeatedly breached and the bar was set on fire,” Britannica states. The riots lasted five days, according to the article, and marked the first time the groups under the LGBT umbrella allied together for a common cause. Reece said he’s excited about how far the movement has come, and the direction it’s headed for the future. “I know the LGBT community wants equal marriage, the repeal of [the Defense of Marriage Act.] And that’s a monster in itself. “That’s going to take the LGBT community and the allies who are for the LGBT community, educating everyone, educating the people. Reece said while he sees a day when equal rights for LGBT individuals won’t be an issue, he does have a word of caution to those fighting for equal rights. “I think we’ll always have some group of people that will be oppressed. Native Americans, women, African- Americans, and now, the LGBT people. You have to wonder, if we get to a point of acceptance, what’s the next group? 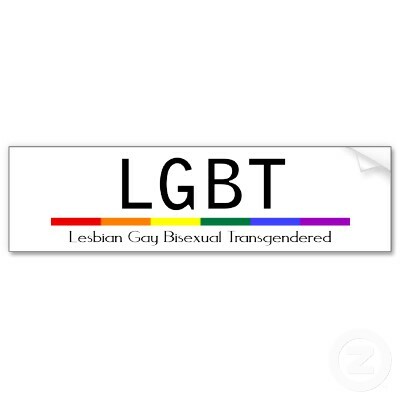 For more information onOCCC’s Gay Straight Alliance club, visit http://occc.campusgroups.com/gsa.